A Court of Queen's Bench Judge has issued an order for shale gas protesters on Route 134 to remove their barricades on the highway and allow SWN Resources Canada access to its equipment in the area. 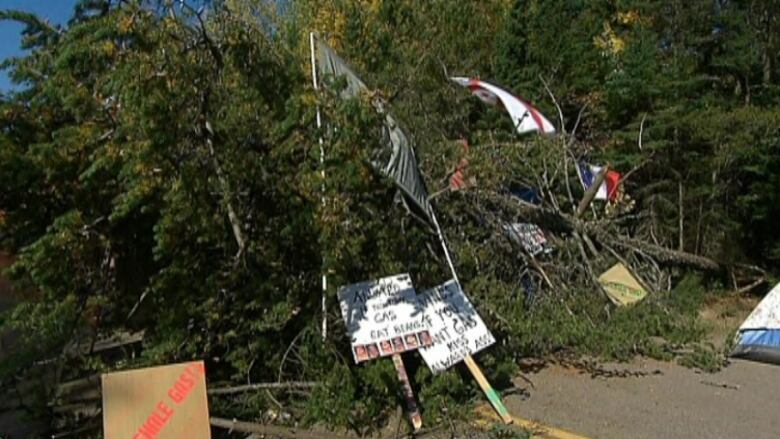 The protesters have stopped traffic on the highway connecting Rexton with Highway 11 since Monday. They have also blocked the entrance to the area where SWN Resources has its shale gas exploration vehicles parked. SWN Resources filed a motion with the Court of Queen's Bench in Moncton on Wednesday, seeking an injunction to order an end to the protest. Mr. Justice George Rideout granted the order on Thursday. The order remains in force until midnight, Oct. 12, 2013. Protesters said the RCMP assured them officers would not enforce the injunction for 24 hours. The order names Loraine Claire, Jim Pictou, Seven Bernard, Jason Okay, Greg Cook, Wilhemina (Willi) Nolan, Melanie Elward, Ann Pohl, Rachel Daigle, Suzanne Patles, John Doe and Jane Doe as respondents. Causing a nuisance in the vicinity of SWN Resources equipment, including those activities related to the seismic testing program. The order authorizes any peace officer to arrest, remove and remand anyone who is contravening the order. 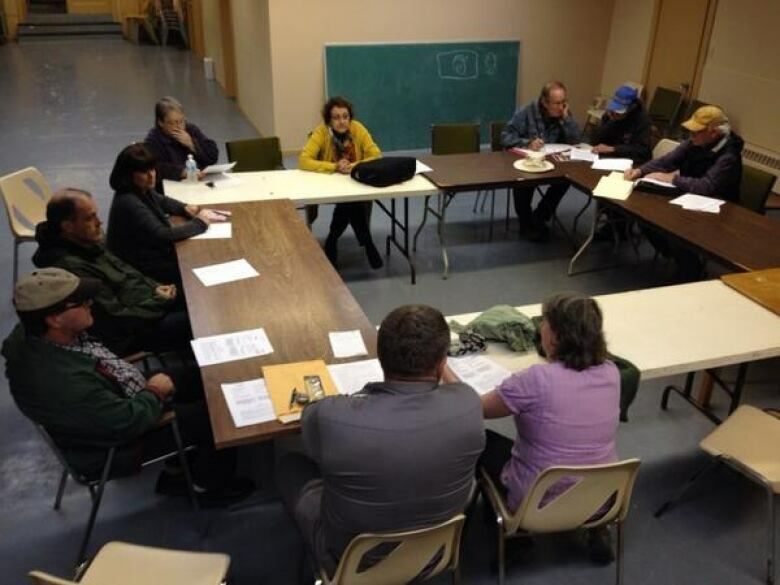 Some of the protest organizers held a meeting after they were informed of the injunction. The group said they weren't sure what they would do in response. They said they are planning another meeting at the site of the protest for Friday evening. While that meeting was wrapping up tensions flared at the protest site. RCMP blocked off four exits from Highway 11 to Route 34 preventing any traffic from reaching the site of the blockade. The police also kept the media well back from the scene. But before reporters were pushed back, Radio-Canada's Michel Nogue said a group of protesters formed a human chain across Route 34. He said it appeared an RCMP negotiator was speaking to the group as they sang.